At Hannover Messe 2019, Basler will present its solution for Industry 4.0 in the field of standard image processing components and embedded vision. 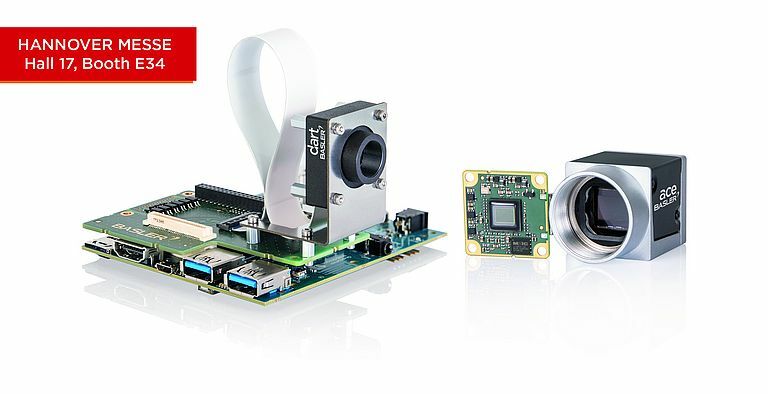 As an image processing company that has been on the market for over 30 years, Basler’s portfolio ranges from reliable and high-performance cameras, lenses and light modules to customized embedded vision solutions. Depending on their needs and planned vision project, customers can configure and implement all hardware components for their “classic” vision system independently, or access support in completing their embedded vision project. With its embedded vision demo in the AI (artificial intelligence) area, Basler shows how compact and yet highly productive vision systems can be. The game “Face Twist” in an arcade-game format poses expression-based challenges to trade fair visitors, and playfully demonstrates the possibilities of facial detection. With the Visual Applets product line from Basler Group’s subsidiary Silicon Software GmbH, visitors will find a graphic hardware development platform for FPGAs. Based on data flow designs of specific operators, basic deep learning applications, on a frame grabber for example, can be realized without the need for sophisticated programming. Pre-trained networks can be loaded in the corresponding FPGA, which then executes the inference without any additional processor consumption. The result is a real-time classification with very high prediction accuracy at a very large bandwidth.